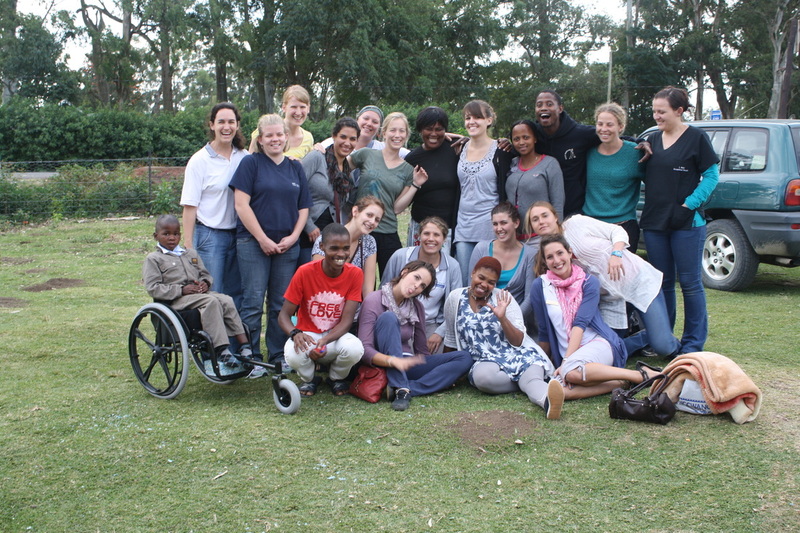 On the 21st of May 2012, the Zithulele Hospital Rehabilitation department was abuzz with excitement. Not only had an enormous truck, bearing more than 50 wheelchairs, arrived, but a team of seating experts were on hand to provide advice and training. Therapists from hospitals across the region – Canzibe, Madwaleni and Zithulele – congregated around patients, eager to introduce them to their very own custom devices. All this was made possible by a generous donation from the Industrial Development Corporation (IDC) to the tune of half a million rand. While wheelchairs are available through the state tender, such chairs are most often designed for urban environments, and are unsuitable for navigating the obstacles of the rural setting, leaving patients scarcely more mobile than they would otherwise have been. 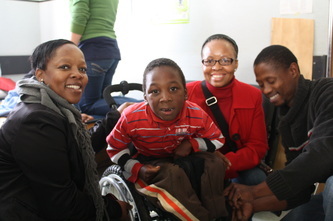 On behalf of Rural Ability (Zithulele Hospital’s therapy team), Jabulani sent the IDC a detailed appeal for seating devices suitable to the rural context, and to the complex needs of patients living therein. Each donated chair was specified for a particular patient, depending on their individual needs, which included increased mobility at school, independent movement from one place to another, and halting the progress of debilitating spinal deformities. In addition to these individual specifications, each device requires customisation to the body of the individual who will be usingit. 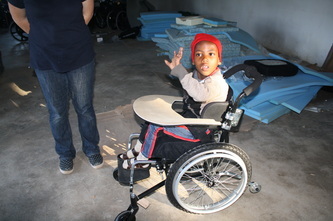 The week of the 21st of May 2012 saw the first donated chairs being issued. Fourteen therapists received training in basic and intermediate seating principles from Shonaquip seating experts. 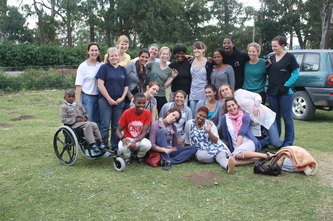 11 individual patients were then seated by teams of therapists under the expert guidance of Shonaquip. The change in each case was remarkable: seated in appropriate devices, patients were able to move with their chairs, rather than in (or even sometimes against) them.